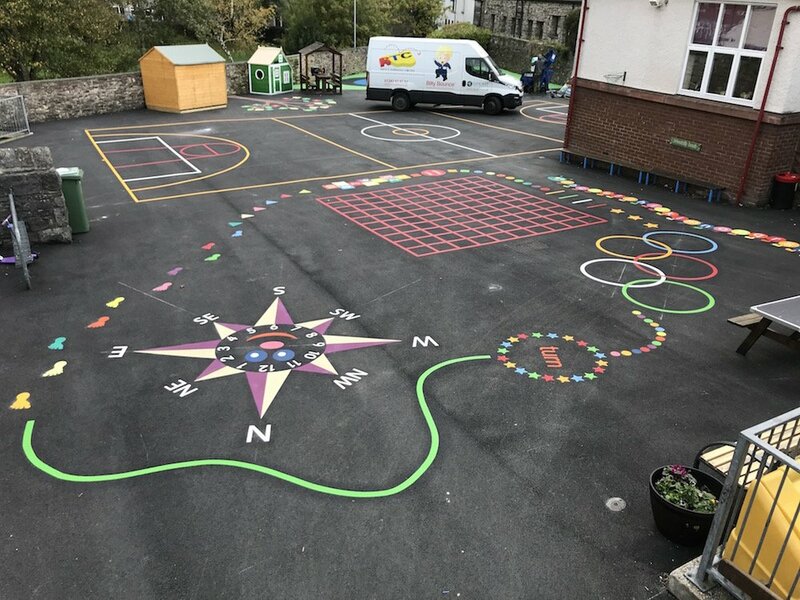 first4playgrounds recently complete a range of vibrant markings from our new stock for Victoria Primary School, In Airdrie, Scotland. 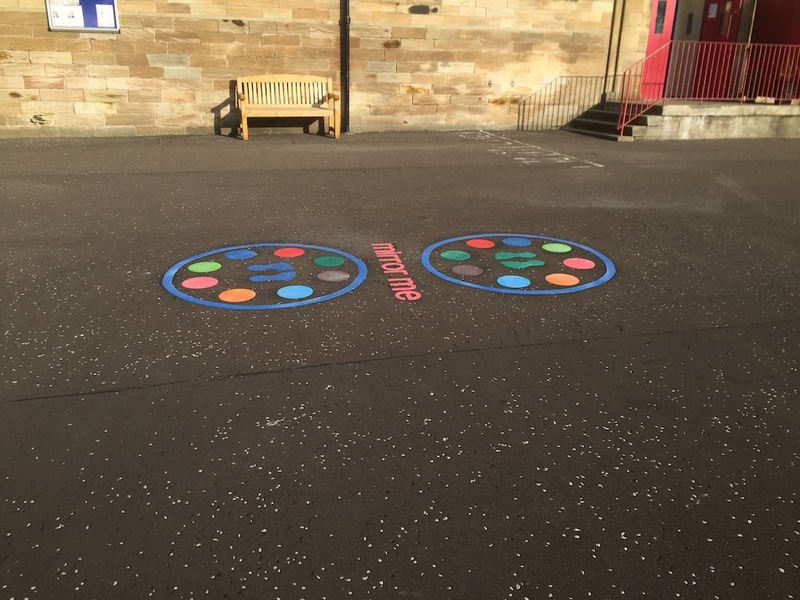 Firstly our team crafted a Mirror Me game, this two player game is a great and colourful way for children to develop coordination and active play. 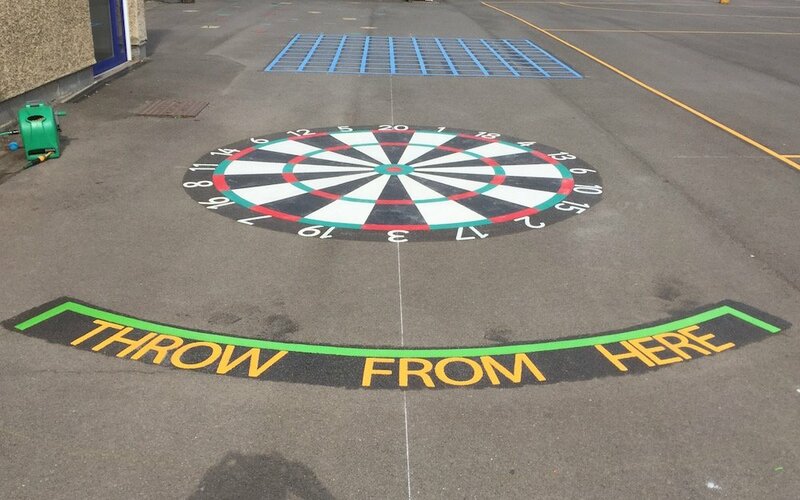 The game is made up from two large circles, 8 x 200mm multi coloured thermoplastic circles with 2 footprints in the centre. 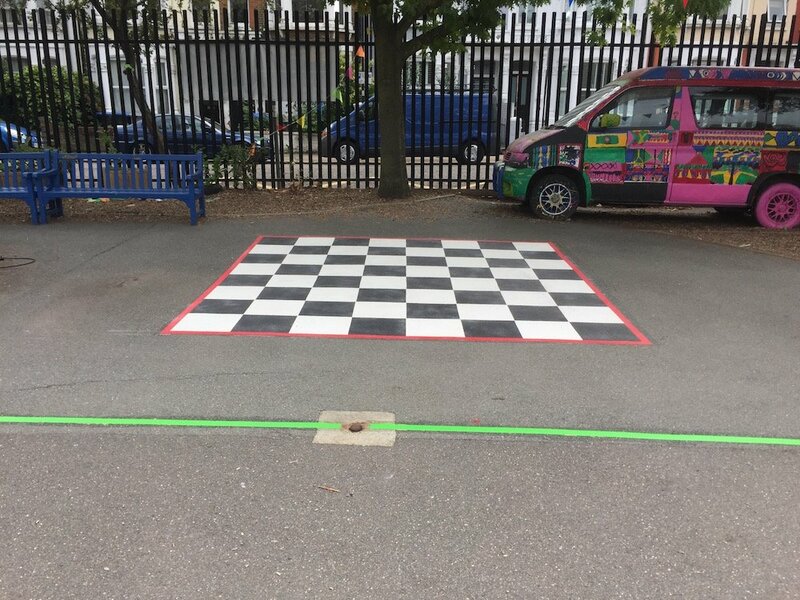 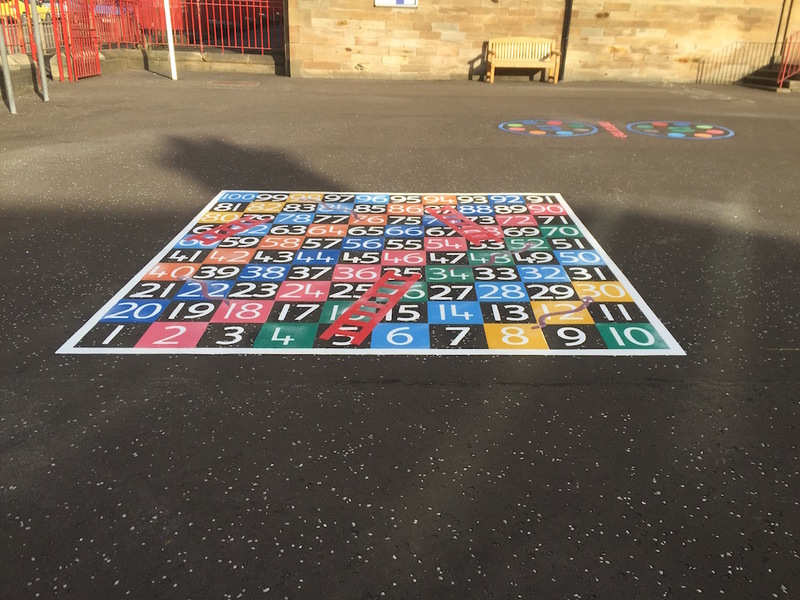 Next we installed a Snakes and Ladders game, this is a very fun and classic way to brighten up and transform your school playground. 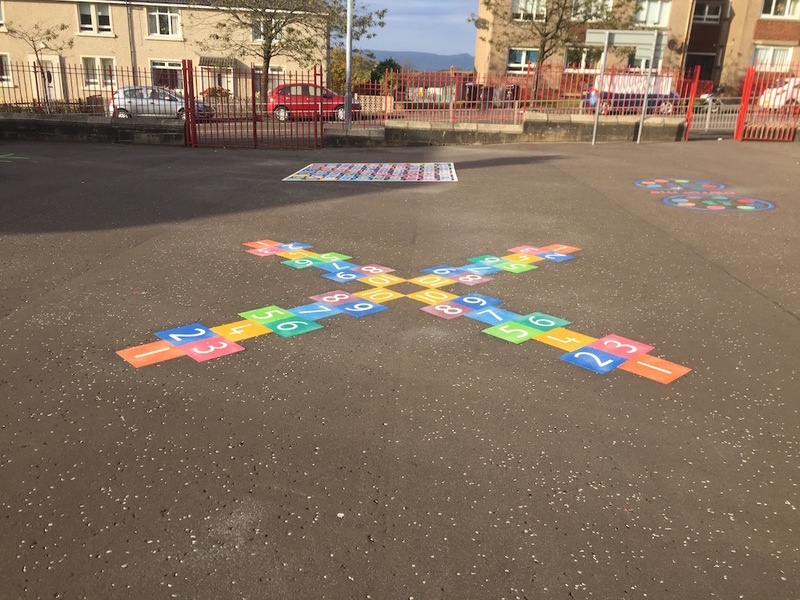 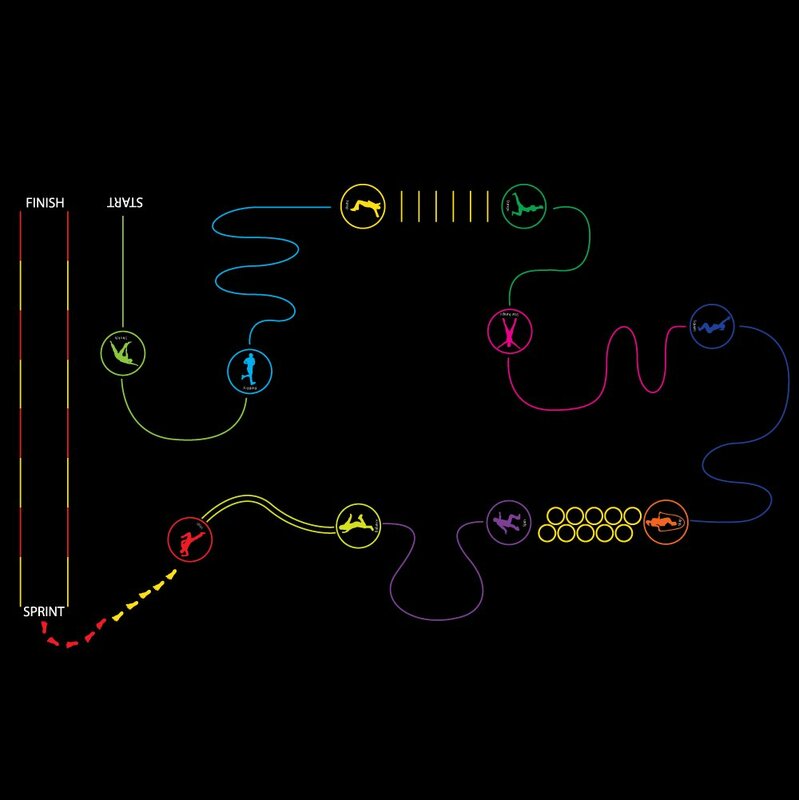 The 4 way hopscotch is a brilliant twist on our classic one player game. 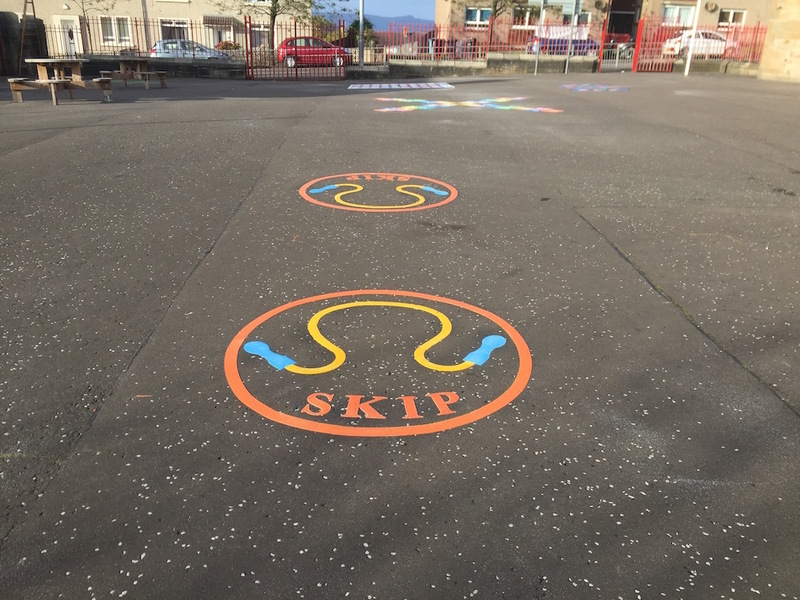 Skip circles can be used for skipping competitions between the children e.g. 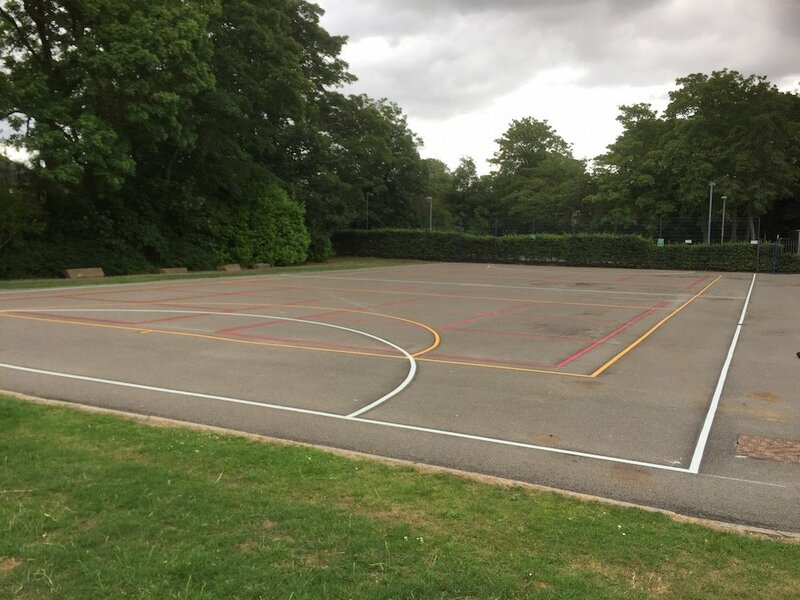 who can skip for the longest etc. 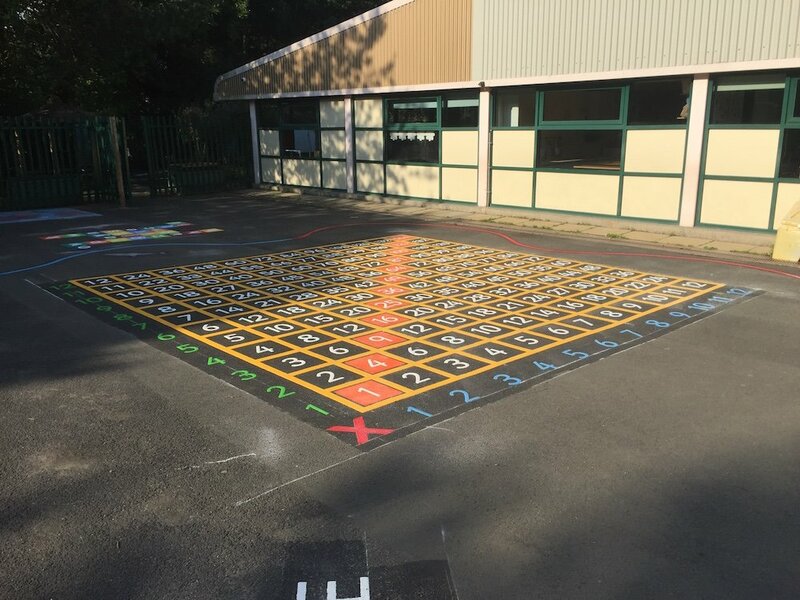 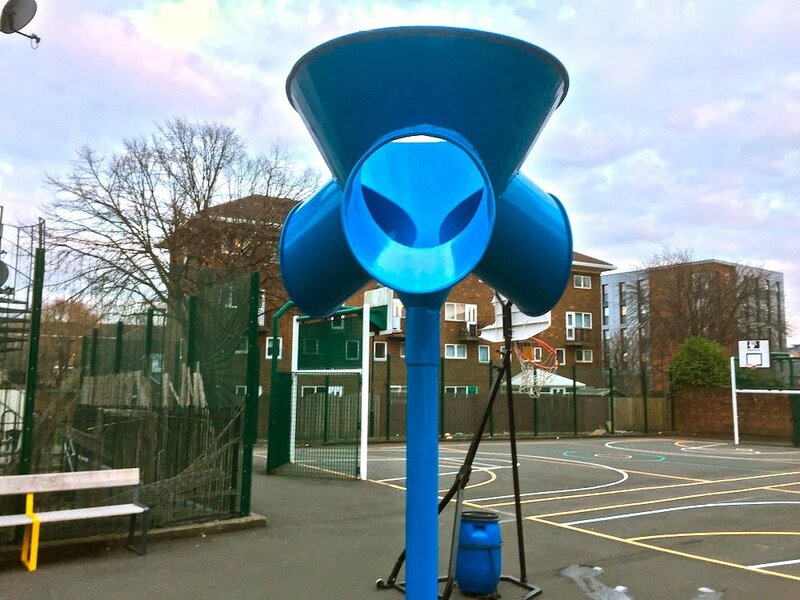 Not only fun playground exercise.